Today's '3 4 Friday' #FridayReads are three very different books, from events we are involved in next week. 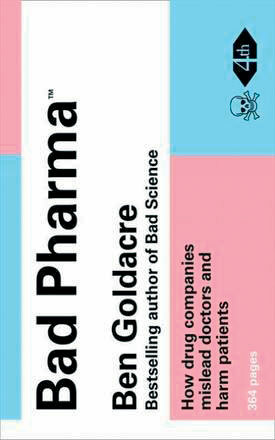 On Monday evening, we are very honoured to be bookseller at the Oxford Union where Ben Goldacre will be talking about the 'bad science' behind the pharmaceutical industry in his latest book Bad Pharma. Ben is a passionate and pioneering journalist and author, and believes picking apart the bad science that appears in science writing is the best way to educate and promote good science - for everyone's benefit. Bad Pharma is based on meticulous research and unravelling of the way medical research is carried out in this country (did you know, for example, that most doctors and nurses are - either directly or indirectly - educated by the pharmaceutical industry?). But this is no rant. Ben uses clear and measured language that nevertheless underlies real anger at complex problems, and the power of this book is the skill with which Ben builds his case. Not only does he tease out the problems and conflicts of interest, he explains complex issues whilst offering solutions to the problems of 'Big Pharma'. A hugely impressive achievement, and a testament to the power of words. Who would be mad enough to set off at 18 to walk across Europe, living off £1 a day? In 1933? 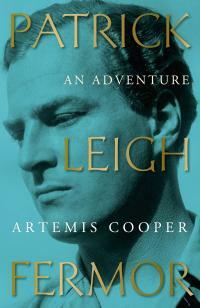 If you have been enjoying Samuel West reading from Artemis Cooper's biography of Patrick Leigh Fermor on Radio 4 this week - we have signed copies at Mostly Books. Fermor is one of the great travel writers of the 20th century, notably for his books about his walk across pre-war Europe (and for the spectacular kidnap of a German general in Crete towards the end of World War II). Artemis Cooper has drawn on years of interviews and conversations with ‘Paddy’ and his closest friends as well as having complete access to his archives. Her beautifully crafted biography gives some insight into his gifts, the huge role of his unsung wife Joan, and the lifelong, passionate friendships they both inspired. Finally, this week sees the Oxfordshire and Berkshire heats of the global Kid's Lit Quiz at St Gregory The Great School, Oxford - and Mostly Books is very proud to be providing a bookshop for the second year running. Twelve authors will be joining teams from twenty schools to compete to go forward to the national final, and ultimately to the world final next year in Durban, South Africa. 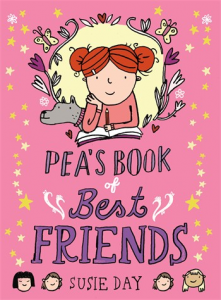 Teams are cheered on with help from a delightful group of (and some of favourite) children's authors, which this year includes Susie Day, Joss Stirling, Marie Louise Jensen, MG Harris, Linda Newbery and Sally Nicholls. Quite a line up! And don't forget it's the local excellence market in Abingdon this weekend. Local produce, vintage/retro stalls...and owls! Might well be going to the Ben Goldacre event so will wave enthusiastically. We thought we might be able to offer some tickets, but it's going to be packed - so we are just doing the booksales. I shall look for waving, perhaps with a children's picture book to hand?